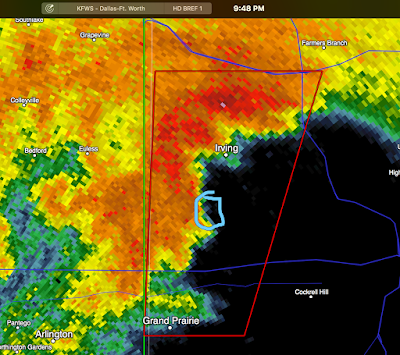 The tornado, if it is on the ground, is near Grand Prairie and its current path would take it into the Irving area. 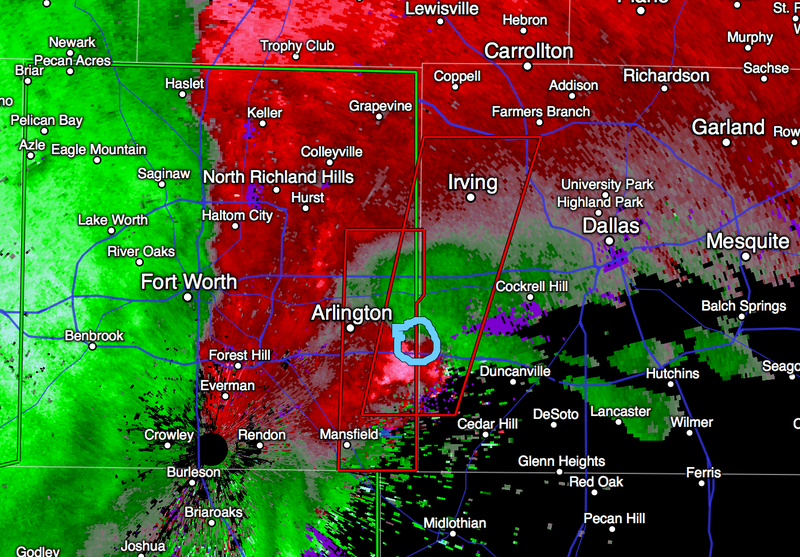 Radar from 8:34p. 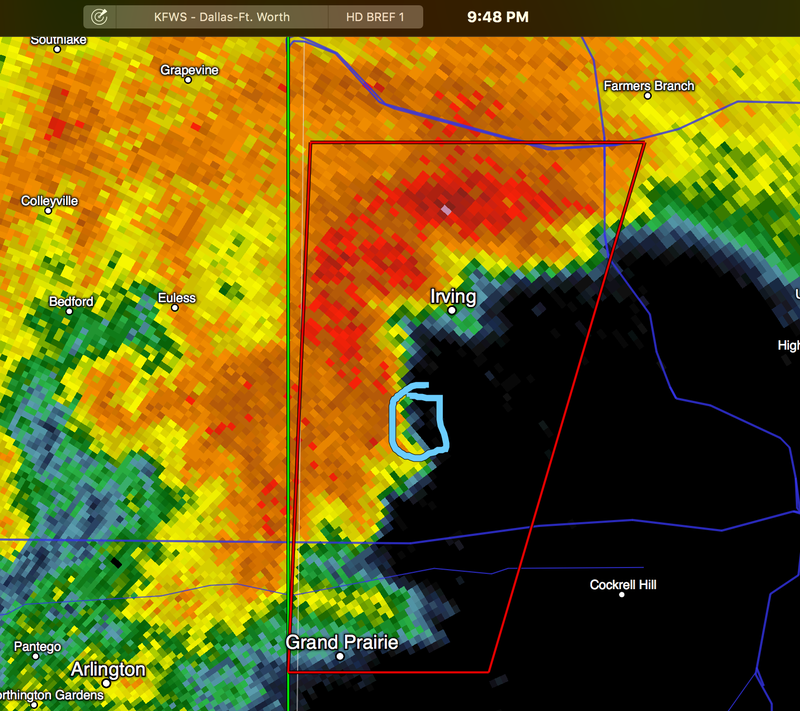 UPDATE: 9:47P: Tornado reported on the ground in Grand Prairie moving in the direction of Irving.